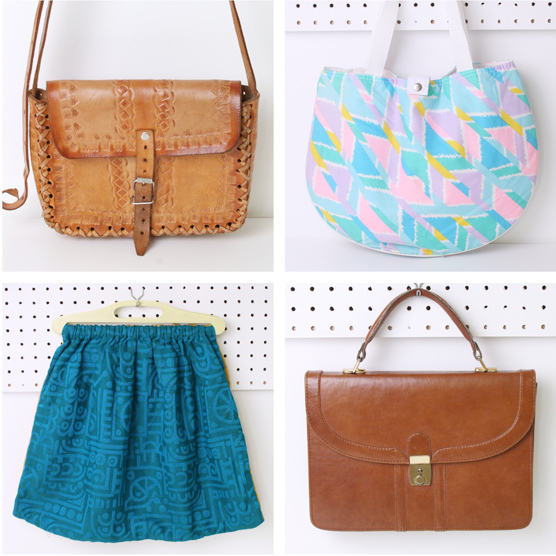 A pretty selection of vintage bags. • A super pretty 1970s tooled tan leather satchel with adjustable buckle shoulder strap. • A delightful 1980s candy coloured beach bag for Summer fun and picnic parties. • A charming 1960s knitting bag very skilfully handmade from textured curtain fabric and two of my favourite colours teal and mustard. • A stylish chestnut leather mini briefcase for office meetings and pub lunches alike. Find them all in the shop here and if today’s rain continues I may well have to add my collection of vintage umbrellas to the shop! Elizabeth Leslie on Lomography Giveaway Winner Announced! Hey there! My name is Leona and this is my online shop and blog where you can follow my thrifty adventures and snap up a vintage gem of two.